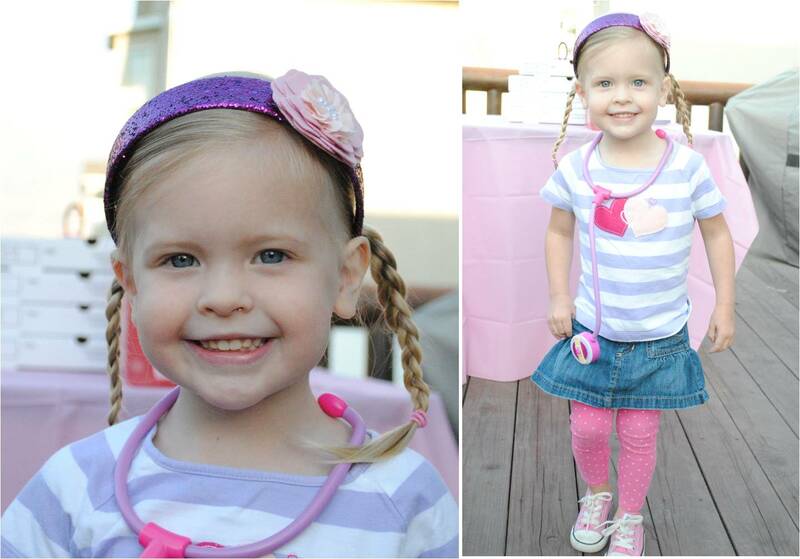 For Brooklyn's 3rd birthday we celebrated on September 13th with a Doc McStuffins birthday party. Brooklyn dressed up to look just like her :) Everything was purple and pink!! 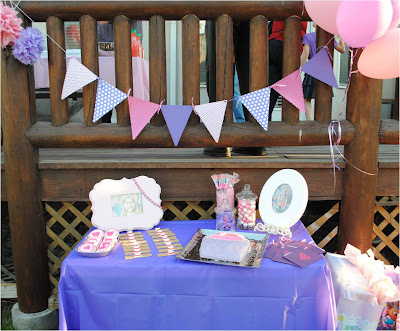 We celebrated with a few friends, grandparents, aunts, uncles, and cousins. For dinner there was pizza and for dessert, we had stethoscope sugar cookies, bandaid graham crackers, cake, gumballs, suckers, and mints. Also, each kid got their very own big book of boo boos! B had a little cold at the party so we had two cakes, one small for her and a larger doctor bag for everyone else. Doctor Brooklyn got very spoiled with lots of fun and girly presents! The last three years have flown by!! We are so thankful we were blessed with our sweet Brooklyn girl! Happy Birthday! !